Vital for a healthy gut, probiotics not only absorb nutrients, they help in one’s immunity by combatting elements that cause disease. When a diverse gut microbiome harbors trillions of probiotics or good bacteria, it makes absorbing nutrients from food a whole lot easier—and then some. Here are new probiotic developments that may just prove further the importance of good bacteria in one’s immunity, longevity, and nutrition. Probiotics may help fight and prevent many illnesses, but did you know that they may also be a new tool in fighting depression? A recent study concludes that aside from helping gastrointestinal upset, probiotics may also relive symptoms of depression. Now considered a novel therapeutic in nutritional psychiatry, probiotics, they found, have potential benefits affecting the underlying mechanism of the disorder that is causing the symptoms.Likened to antidepressants, probiotics hold the potential to become an accessible lifestyle modification for improving people’s mental health. With the research being in its early stages, the use of probiotics in alleviating depressive symptoms presents itself as a revolutionary alternative to antidepressants similar to a diet change or a supplement intake. In the beauty category, probiotics are slowly gaining steam as a skin enhancing solution.Fixing the gut microbiome has always been associated with a wide range of health benefits. Surprisingly, and as what recent beauty trends indicate, part of the benefits now includes skin health.There are a lot of things your gastrointestinal micro-organisms affect, from your metabolism to your immune response, stress levels, etc. Sticking to a gut-changing diet is grants effects that ripple outward and potentially into your skin. Additionally, some studies link certain strains of bacteria with acne reduction, skin elasticity, and hydration. Like psychobiotics, however, further research has to be done to further examine and perfect probiotics’ impact on the skin. This is related to the fact that every individual has a unique gut microbiome, aside from other factors like distinct immune system variations and the diversity of skin microbiome. What this means for probiotics’ beauty category is segmentation. Segmentation in the sense that different probiotics, dosages, and mixtures combined with different diets can be given for different, maybe 12 types of people. It’s an exciting development at best. At the right levels, probiotics can aid digestion and improve nutrient absorption.Probiotics produce essential vitamins in your body. These include Vitamins A, K, Bs, and essential fatty acids. They also help in digesting and processing other nutrients like calcium, magnesium, zinc, iron, carbohydrates, sugars, and more.A good diet and proper supplementation can help in supplying the body with probiotics. Food sources of probiotics include fermented items rich in good bacteria like yogurt, sauerkraut, kimchi, kombucha, miso, and pickles. These food sources, however, may not always provide enough diversity of bacteria strains, making probiotic supplements ideal for those who want to improve their gut microbiome. Not all probiotics sold at drugstores or supermarkets, though, are the same. 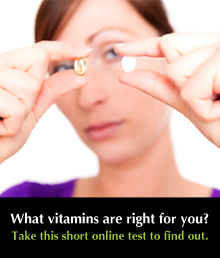 The best probiotic supplements are bio-available, live, potent, and pure. This means probiotics that are easily digestible or does not require to be converted by the body. This is why the best probiotics are usually required to be cooled or refrigerated at all times so that the good bacteria are kept alive. 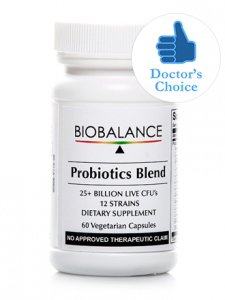 BioBalance Probiotics, for instance, are stored in a cool container from when it leaves the clinic to when it arrives to your doorstep, apart from containing a comprehensive, maximum-support probiotic blend of 12 certified probiotic species supplying 25+ billion CFUs. Aside from bioavailability, what you need to know is if your supplements are bio-active (available in its directly usable form) and bio-identical (comes in the same nutrient structure used by the body). 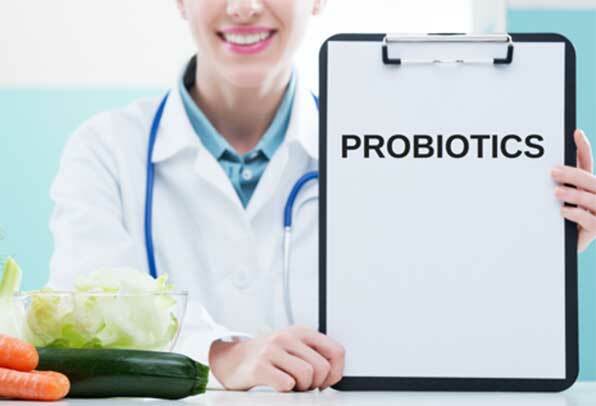 For a more consistent source of good live bacteria, get probiotic supplements that are clinically effective and are of high-quality, with multiple species to ensure maximum intestinal support. BioBalance’s Probiotics Blend is formulated with 25+ billion CFUs per capsule, ensuring maximum delivery of live microorganisms throughout intestinal tracts.